The dark black gown flaunting up near the sky, with a smirk on the face of the handsome young man. This has been the best feeling for a 90’s kid when you ask about Batman. It was introduced by DC Comics, an American comic book, for teenagers to entertain them with superheroes stories. Batman is a normal human being, who has high-level intelligence, perfect in martial arts, aware of using high tech equipment & weapons and an expert detective. He is by birth a gifted child, who discovered his inner hidden strengths after witnessing the murder of his own parent’s right in front of his eyes as a child. After this terrible incident, he chooses the path to change the world, he execrated retaliation against criminals and took oath alleviated by the sense of justice. He trained himself both the ways, physically as well as intellectually and fight against the odds and evils with his self-crafted bat-inspired persona and avatar to fight crimes. When Batman was first introduced, his story of losing family made every reader sad and when eventually he became an invincible man, it changed the thinking of millions of people that if you fall down, it is not an end, stand up with more power, not to fall back again. The superb character has been seen in comics, television, films, and games with perfection. The handsome Batman has always been a prime reason for his success but never-the-less, his costume is also way too famous. The mask he wears, the leather dress he wears and the silhouette of a flying bat as a logo, this all is superbly amazing and appealing to the spectators. This outfit is crazily famous and not only youngster’s go crazy for it, but even the adults also love it completely. 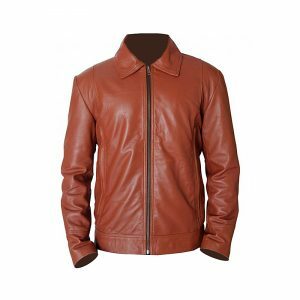 No need to search for this outfit anywhere else, when Jackets Inn have the most authentic quality Batman jacket, tailored made just for you, in unbelievable prices. 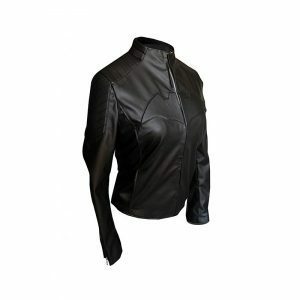 The slim fit and sleek designed jacket have embossed Batman logo for a perfect prominent look and appeal. 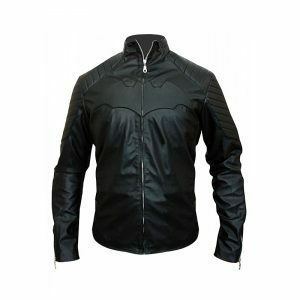 Order it right now and be ready to receive the amazing Batman jacket within 7 days to make your Batman dream come true.